The focus may be on finding the right wedding dress, but what about your accessories? The tradition of wearing something old, something new, something borrowed and something blue shows that accessories have always been an important part to the bridal experience, but it could be difficult to find the accessories that speak to you. For the best bridal accessories designed Central Illinois brides can trust Adore Bridal. Which veil goes best with your dress and what necklace or belt helps the details in your gown pop? Can you wear too many accessories, or too little? Pairing the dream dress with the dream accessories can be exhausting, but that is why Adore Bridal is here. Adore Bridal & Specialty is proud to offer brides from across the Midwest an intimate bridal experience. When you schedule an appointment with us, you are scheduling an appointment with your own personal Adore stylist. Our stylist will connect with you before your appointment and start pulling styles and ideas that they believe are perfect for you. We are known for finding the perfect styles for our brides before they walk in our door! We offer everything brides need to complete their wedding look—tuxedos, bridal shoes, gorgeous gowns, bridesmaid dresses, mother-of-the-bride dresses and, of course, bridal accessories! You will feel truly special during your appointment when you find out that your stylist knows your dream wedding look as well as you do, and when we help your beautiful wedding gown seem even more beautiful when we pair it with the right accessories. 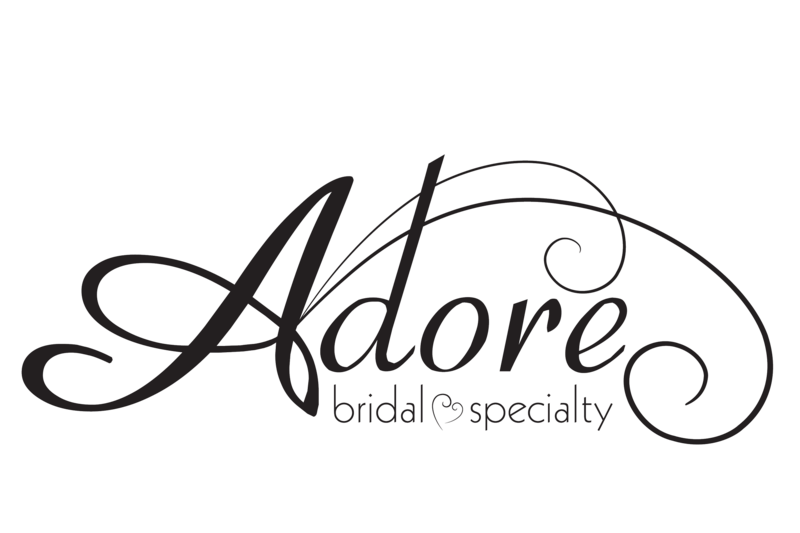 For the most beautiful bridal accessories designed Central Illinois brides should book an appointment with Adore Bridal. Contact us online today or call 309-291-0838! We at Adore Bridal are ready to help you say “I Do,” by making your dream wedding come true.